The São Paulo Symphony Orchestra becomes the first full-time South American symphony orchestra ever to perform in China this month as they make their historic debut under Music Director Marin Alsop. The orchestra performs in Shanghai (14 February), Jinan (15 February) and Beijing (16 February) before travelling onto Hong Kong for their residency at the Hong Kong Arts Festival (19 to 22 February). The residency includes chamber music, a side-by-side educational event with award-winning school orchestras and two symphonic concerts to open the festival. Also marking her debut in China, Alsop conducts repertoire which portrays the rich variety of musical styles from South America including works by Villa-Lobos, Ginastera and Guarnieri alongside core European works such as Strauss’s Rosenkavalier Suite and Rimsky Korsakov’s Scheherazade. 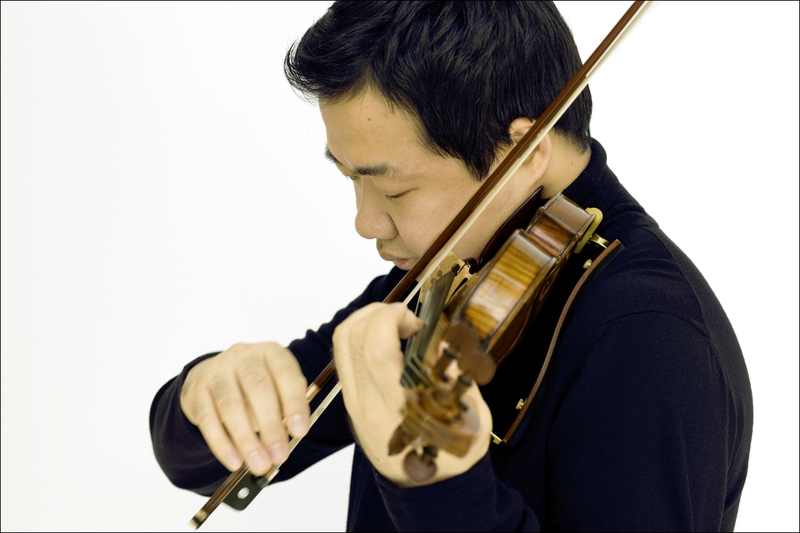 The Chinese violinist Ning Feng joins the orchestra in performances of Paganini’s Violin Concerto No.1. Ning Feng’s new recording, of Elgar and Finzi violin concertos, is released on 16 November 2018 on Channel Classics. Feng is accompanied on the recording by the Royal Liverpool Philharmonic Orchestra under fellow Intermusica artist Carlos Miguel Prieto. You can listen now on Apple Music, and watch a video there to find out why Ning Feng thinks Elgar’s concerto is the greatest British violin concerto ever written. Between 20 October and 20 November 2018 Intermusica has a record presence in China, with 31 events taking place over just 30 days. The period sees visits from the Orchestre National de France and Music Director Emmanuel Krivine and the BBC Concert Orchestra, both organized by Intermusica's International Touring department, as well as concert appearances from soloists James Ehnes, Ning Feng, George Li, Leonidas Kavakos and Noah Bendix-Balgley. Intermusica artists and projects visit cities all over the country, including Beijing, Shanghai, Guagzhou and Nanjing. See a full list of concerts below. Concerts with the Guangzhou Symphony (9 November), Hangzhou Philharmonic Orchestra (11 November), China Philharmonic (16 November) and Shanghai Symphony (18 November), as well as recitals with Enrico Pace in Xi'an (13 November) and Nanjing (14 November). Ning Feng travels to Brazil to make his debut with the São Paulo Symphony Orchestra at the Sala São Paulo on 11, 12 and 13 October 2018. He performs Paganini Violin Concerto No.1 under the baton of Marin Alsop, the orchestra’s Music Director. The following week, Feng returns to the Konzerthausorchester Berlin and conductor Lawrence Foster. Feng performs Brahms Violin Concerto on 18, 19 and 20 October before joining the orchestra on tour to Asia to play concerts at the Qintai Concert Hall, Wuhan (27 October), Oriental Art Center, Shanghai (31 October) and NCPA, Beijing (3 November). Ning Feng debuts with the Stuttgart Chamber Orchestra this month to perform two concerts in Homburg and Stuttgart on 13 and 14 September respectively. He plays Mendelssohn Violin Concerto in both concerts alongside conductor Matthias Foremny. "His podium presence is understated: thoughtful, expressive but not flamboyant bowing--he let's the music speak for itself…Feng was fearless. He handled the fast scales, the arpeggios, all of the technical hurdles with skill." Elsewhere in September, Feng plays Sibelius Violin Concerto with the Orchester Biel Solothurn and conductor Kaspar Zehnder. The concerts are on 5 September at the Biel Kongresshaus and 7 September at Salle de l’Inter Porrentruy. Ning Feng performs in two chamber concerts at this year’s Schubertiade. The first concert, on 29 June 2018 features a programme of Brahms Piano Quartets Nos 1, 2 and 3 alongside pianist Igor Levitt, violist Volker Jacobsen and cellist Isang Enders. On 1 July, Ning performs again with Levitt and Daniel Müller-Schott (cello) playing Schubert Piano Trios 1 and 2. The trio perform the same programme at Klavier-Festival Ruhr in Düsseldorf on 26 June at Museum Kunstpalast. "This was an invigorating account, clear in tone and agile in technique. He bought out the music’s gorgeous lyricism. Ning Feng debuts with the New Jersey Symphony Orchestra this month, performing alongside conductor Dima Slobodeniouk in three concerts from 3 May 2018. Feng plays Mendelssohn Violin Concerto at the Bergen Performing Arts Center on 3 May, the New Jersey Performing Arts Center on 5 May and the Mayo Performing Arts Center on 6 May. "Ning Feng does impress with technical ability. But above all, it is his full and warm tone that enriches the CD’s collected virtuosic Spanish showpieces, from composers such as Sarasate and Lalo, with powerful passion and romantic lyricism." In China, Ning performs at the opening gala of the NCPA May Festival on 9 May, performing repertoire such as J.S. Bach Double Violin Concerto, Vivald Concerto in B minor for Four Violins and Paganini 24 Caprices. The NCPA May Festival is now in its tenth year and in 2018 plays host to ensembles such as Academy of St Martin in the Fields and Europa Galante. The following week, Ning joins the China Philharmonic Orchestra and conductor David Stern at Beijing's Forbidden City Concert Hall on 14 April. Feng plays Bernstein Serenade, after Plato’s Symposium, which he played in March with the BBC Scottish Symphony Orchestra and John Wilson, with critics praising his “precise and passionate account” (Herald Scotland). Elsewhere in the month, Ning plays Shostakovich Violin Concerto No.1 with Yang Yang and the Hangzhou Philharmonic Orchestra on six European dates starting on 16 April at the Megaron Athens Concert Hall. Ning and the orchestra then perform in Thessaloniki, Sofia, Bucharest, and Belgrade before finishing in Pécs on 27 April 2018. 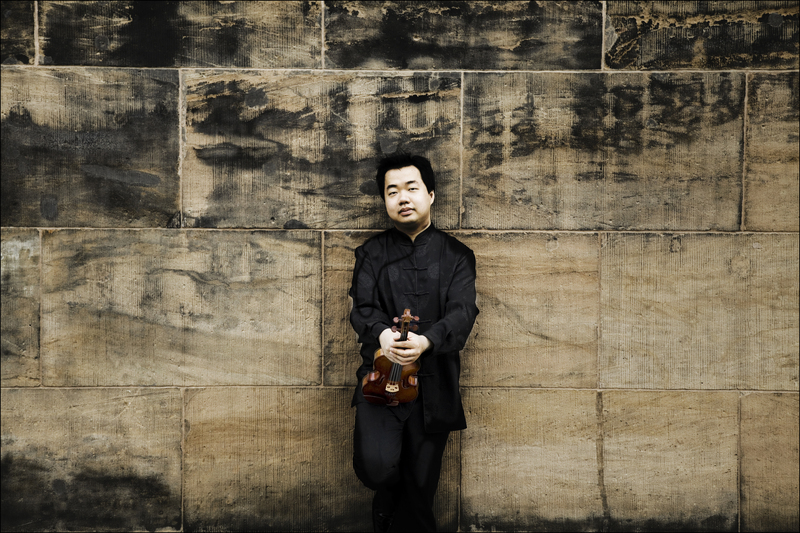 Ning Feng makes his debut with the BBC Scottish Symphony Orchestra on 15 March 2018, performing Bernstein Serenade after Plato's Symposium under the baton of John Wilson. The concert takes place at City Halls Glasgow, and the programme also includes Roy Harris Symphony No.3 and Copland Appalachian Spring. Ning recently performed the piece with Konzerthausorchester Berlin and Iván Fischer, and reviews praised his “direct, highly virtuosic approach” and “shimmering sea of colour”. Ning Feng’s new recording of J.S. Bach’s Partitas and Sonatas for Solo Violin is released on 19 January 2018 on Channel Classics. The album establishes Ning as the first Chinese violinist to have recorded all six of Bach’s Partitas and Sonatas, regarded to be the pinnacle of the solo violin repertoire. It is also Ning’s third solo release, after Solo and Solo 2. Ning Feng returns to the UK this month to make his debut with the City of Birmingham Symphony Orchestra in a series of four concerts from 17 January 2018. Feng performs Bruch Scottish Fantasy on 17 and 18 January and Brahms Violin Concerto on 19 and 20 January. "[Ning Feng] performed at the highest level and brought the public under his spell with his virtuosic playing and creative brilliance." "[Bruch's Scottish Fantasy] gave Chinese violin star Ning Feng ample opportunity to let the wonderful, melting tone of his Stradivarius shine over the orchestra’s broad panorama of sound- gorgeously beautiful!" The following week Ning makes a second UK debut, this time performing with the Royal Scottish National Orchestra and conductor and fellow Intermusica artist Jamie Phillips. Feng performs Korngold’s Violin Concerto at the Carlisle Sands Centre on 26 January and at His Majesty’s Theatre Aberdeen on 28 January. Intermusica brings the RTÉ Concert Orchestra to China this December for the orchestra's debut tour of the country, beginning in Nanjing on 31 December 2017. They are joined for the tour by Intermusica's Ning Feng and fiddle player Zoe Conway. Conductor David Brophy leads the tour, which includes five concerts across four provinces within seven days. They perform programmes combining well-loved works, such as J. Strauss II’s Die Fledermaus Overture, with traditional Irish music. Ning Feng returns to London's Wigmore Hall this month, performing a programme of Schubert trios alongside Igor Levitt and Daniel Müller-Schott on 30 November 2017. Ning, Levitt and Müller-Schott perform Schubert's Piano Trios in B flat major and E flat major. The concert at Wigmore Hall is Ning's third of Schubert trios of the month, following two concerts with Nicholas Angelich and Edgar Moreau at the Concerts on Mount Pilatus series in Switzerland. Following the Wigmore Hall recital, Ning returns to the UK in January to play Bruch Scottish Fantasy with Mirga Gražinytė-Tyla and the City of Birmingham Symphony Orchestra. Ning Feng performs as a trio with Nicholas Angelich (piano) and Edgar Moreau (cello) on 4 and 5 November, presenting two programmes of Schubert chamber music in the Concerts on Mount Pilatus series at Hotel Pilatus-Kulm in Switzerland. On 4 November the programme includes Schubert Impromptus and Piano Trio No.2, followed by the Arpeggione Sonata in A minor, Violin Sonata in A major and Piano Trio No.1 on 5 November. Also in November, Ning again performs the Schubert Piano Trios, this time with pianist Igor Levit and cellist Daniel Müller-Schott at London’s Wigmore Hall on 30 November. "While consisting of well-worn repertoire … in no way do these pieces sound uninspired. On the contrary, in the hands of the Quartet, the Schubert leaps with powerful artistry"
Ning Feng joins the China NCPA Orchestra and conductor Lü Jia on 28 October 2017 for a tour of North America. He performs Zhao Jiping’s Violin Concerto No.1 on the tour, part of an eclectic set of programmes that also feature Brahms Symphony No.4, Sibelius Symphony No.2 and two modern concertos: Chen Qigang’s Reflet d’un temps disparu for cello and orchestra and American composer Lou Harrison’s Pipa Concerto, which spotlights the traditional Chinese instrument. Ning Feng continues his long-standing musical collaboration with the charity art institution Premiere Performances with a return to Hong Kong on 24 September 2017 to perform at their 10th Anniversary Gala Concert. Ning Feng travels to Moritzburg Castle for a series of chamber music concerts at the annual Moritzburg Festival from 16 August 2017. Feng’s first concert, on 16 August, will features a programme of Arensky String Quartet No.2 in A minor and Brahms Piano Quintet in F minor with artists including Lawrence Power on viola and cellist Jan Vogler, the artistic director of the festival. Ning Feng reunites with Jaap van Zweden and the Hong Kong Philharmonic this month for an international tour of Asia and Australia, beginning at Seoul Arts Center on 16 April 2017. Ning joins the orchestra to perform Bartók Violin Concerto No.2 in Seoul, as well as at the Hong Kong Cultural Centre and Osaka Symphony Hall. He and the orchestra also perform Mozart Violin Concerto No.4 at the Esplanade in Singapore and Melbourne’s Hamer Hall before finishing the tour at the Sydney Opera House. Ning Feng joins James Gaffigan and the Lucerne Symphony Orchestra this month for two concerts at KKL Lucerne on 22 and 23 March 2017. Ning performs Tchaikovsky Violin Concerto, which he has previously recorded with the Deutsches Symphonie-Orchester Berlin. Carlos Miguel Prieto and Ning Feng return to the Royal Liverpool Philharmonic this month for two performances at Liverpool's Philharmonic Hall on 23 and 24 February 2017. Prieto conducts a programme of Stravinsky The Firebird Suite (1919 version) and Revueltas Redes Suite, with Ning joining them to perform Elgar Violin Concerto. Ning and the orchestra will then record the Elgar Concerto along with the Finzi Violin Concerto for future release on Channel Classics. Elsewhere in February, Ning Feng travels to California to make his debut with the Pacific Symphony Orchestra with performances of Bruch Scottish Fantasy taking place on 2, 3 and 4 February, and also makes his debut in the Chamber Music San Francisco series, taking place at San Francisco Conservatory on 7 February, with a programme of Mozart, Prokofiev, Bartok, Stravinsky and Waxman. Following this, he travels to Canada to appear as soloist on the Beijing Symphony Orchestra’s tour, where he performs the Brahms Violin Concerto at Toronto’s Sony Centre (9 February) and National Arts Centre in Ottawa (12 February). Ning also performs with Macao Symphony Orchestra once again on 19 February, where he performs Elgar Violin Concerto at St Dominic’s Church. Prieto's other concerts this month include performances with the Orquesta Sinfónica Nacional de México and the Bilbao Orkestra Sinfonikoa, and he returns to the UK in March for concerts with the Bournemouth Symphony Orchestra and the Hallé. Ning Feng returns to London to make his Royal Philharmonic Orchestra debut on 29 January 2017 at Cadogan Hall. He joins the orchestra to perform Prokofiev Violin Concerto No.1 under conductor Alexander Shelley. "the opening was exquisitely performed. Feng created a heavy atmosphere that evoked an icy Russian chill that made me shiver such was the intensity of his compelling playing. The sardonic Scherzo just flashed along swiftly with Feng steadfastly negotiating the wonderful contemporary writing and the mischievous sounding effects... Throughout Feng generated an electric atmosphere of an intensity that one rarely encounters in this work"
Ning’s subsequent engagements in 2017 include three concerts with the Pacific Symphony Orchestra in the United States, a return to the Royal Liverpool Philharmonic to perform Elgar Violin Concerto in B minor, and a tour with the Hong Kong Philharmonic. Ning Feng returns to the Orchestre Philharmonique de Strasbourg on 15 December 2016, performing Paganini Violin Concerto No.1 at the Palais de la Musique et Congres under the baton of Marko Letonja. "I wasn’t the only one laughing out loud at Feng’s witty sprezzatura and unabashed ham, or gasping out loud at his effortless negotiation of every difficulty Paganini threw in his way – double and multiple stopping, lighting leaps and arpeggios, stratospheric harmonics, high-velocity pizzicati and ricochet bowing and I know not what else." "Whether hurling glistening shafts of golden tone into the auditorium or caressing the ear with the sonic equivalent of thistledown, Ning Feng demonstrated the form that places him well to the forefront of violin virtuosi... he wooed and won the heart of every listener." In January 2017, Ning performs Paganini Violin Concert No.2 with the Staatsoper Hannover. Ning Feng returns to the Budapest Festival Orchestra this month, performing Dutilleux L’arbes des songes in four concerts on 23, 24 and 26 September 2016 under the baton of Iván Fischer. Ning then joins Fischer and the orchestra once again in Beijing on 6 October, performing the concerto at the National Centre for the Performing Arts. Ning and Fischer have frequently performed together, in Budapest and at the Konzerthausorchester Berlin, notably as part of a critically acclaimed Bernstein celebration, with Ning performing Bernstein Serenade. Leonidas Kavakos and Ning Feng star at this year's Kissinger Sommer, which runs until 24 July 2016. Kavakos joins Valery Gergiev for the St Petersburg Closing Gala on 23 July, while Ning has featured throughout the festival. Ning is a regular guest at Kissinger Sommer and in 2014 was the festival's Artist in Residence. His time at this year’s festival culminates in a recital with Igor Levit with whom he has often performed, most recently at Schubertiade last month. On 23 July at 4pm at the Regentenbau, they will perform sonatas by Ravel, Busoni and Beethoven. The recital is the last of five concerts that Ning has participated in this year and in which he has covered a wide range of repertoire ranging from Beethoven String Quartet Op.132 and Schubert ‘Death and the Maiden’ Quartet with his own Dragon Quartet, to a late night performance of tango music. Ning Feng and Renaud Capuçon both perform at the Schubertiade Schwarzenberg on 23 June 2016, with Feng making his debut at the festival. Feng joins Igor Levit (piano), Nils Mönkemeyer (viola), Daniel Müller-Schott (cello) and Janne Saksala (double bass) at Angelika Kaufmann Hall for a performance of Schubert Piano Trio No. 1 and Piano Quintet, ‘Trout’. Capuçon returns to the Schubertiade for two performances, starting with a performance of Beethoven and Dvorák at Angelika Kauffman Hall, also on 23 June. Capuçon joins Guillaume Chilemme (violin), Adrien La Marca (viola), Edgar Moreau (cello) and Alois Posch (bass) for a performance of Beethoven String Quartet No.13 in B-flat major, Op.130 and Dvorák String Quintet No.2 in G major, Op.77, B.49. On 25 June, Capuçon, La Marca and Moreau are joined by Daniel Müller-Schott to perform Beethoven String Quartet No.15 in A minor, Op.132 and Schubert String Quintet in C major, D.956, Op.posth.163. Ning Feng begins June by making his debut with the Frankfurt Radio Symphony Orchestra, joining the orchestra for three performances at the Hessischer Rundfunk Sendesaal on 2, 3 and 4 June 2016. Ning Feng performs Bruch Scottish Fantasy under the baton of Mirga Gražinytė-Tyla. The concert follows Ning Feng’s critically-acclaimed recording of Bruch’s Scottish Fantasy with Deutsches Symphonie-Orchester. Ning Feng makes another debut later in the month, this time at the Schubertiade on 23 June. Intermusica will take eight world-class ensembles to Asia in 2016 in a year of ground-breaking firsts. Watch our video below to find out more. Ning Feng has been invited to sit on the jury of the 2016 Menuhin Competition, in a special edition of the competition celebrating the Centenary of Yehudi Menuhin’s birth, taking place across eleven days from 7 to 17 April in venues across London. In addition to judging the competition, Ning and his fellow jury members – which include Joji Hattori, Ray Chen, Julia Fischer and Tasmin Little among others – lead masterclasses, give performances and take part in lectures and other events celebrating the life of Menuhin. Ning won second prize in the competition in 2000. Also in April, Ning returns to the Franz Liszt Chamber Orchestra, giving performances at Serbia’s Nomus Festival (19 April), and at Korarac Hall in Belgrade (20 April). Returning to play/direct, the performances repeat the programme he gave in Budapest back in February this year, which included Mozart Violin Concerto No.5, Sarasate Zigeunerweisen, Barber Adagio for Strings and Bartók Divertimento for String Orchestra. Ning Feng returns to perform with the Royal Liverpool Philharmonic Orchestra, under the baton of Joshua Weilerstein, in his first appearance at Liverpool Philharmonic Hall on 14 January 2016. Ning performs Prokofiev Violin Concerto No.1, alongside an orchestral programme of Christopher Rouse Bump and Berlioz Symphonie fantastique. Ning Feng returns to Konzerthausorchester Berlin this month, where he performs once again under the baton of Iván Fischer in three concerts taking place on 22, 23 and 25 October 2015. Ning will this time perform Beethoven’s Romances Nos.1 & 2, part of an all-Beethoven programme. Ning Feng returns to Singapore Symphony Orchestra for a performance on 31 July 2015 commemorating the 150th birthdays of Jean Sibelius and Carl Nielsen. Ning performs Sibelius Violin Concerto in D minor, under the baton of the orchestra’s music director Lan Shui. Ning Feng makes his annual return to Kissinger Sommer on 21 June 2015 for several concerts of chamber music. Of his performance at the festival last year, one critic commented that “it was unbelievable to watch the precision and musical creative energy with which Ning Feng performed this mountain of notes without breaking a sweat.” This year Ning performs a wide range of chamber music on 21, 27 and 30 June, and 7 July, including a performance of Beethoven, Pärt and Brahms with his Beijing Piano Trio. Earlier in the month Ning returns to Orquesta Sinfónica del Principado de Asturias, where he performs two concerts on 4 and 5 June in Gijon and Oviedo respectively. Ning performs a Spanish-inspired programme that includes Ravel’s Tzigane, Sarasate’s Spanish Dances and Waxman’s Carmen Fantasie. On 25 June, Ning directs the Berlin Konzerthaus Kammerorchester in a performance including Bach’s ‘Double’ Concerto & Hartmann’s Concerto funèbre. Ning Feng makes his debut with the Munich Symphony this month, joining the orchestra for a performance by Ariel Zuckermann at Bologna’s Teatro Auditorium Manzoni on 13 April. Ning Feng will perform Paganini’s Violin Concerto No.1, Op.6, and will repeat the programme with the orchestra and Zuckermann at Munich’s Prinzregententheater on 19 April. Also in April, Ning Feng will return to the Heidelberger Frühling festival, performing in various chamber music concerts on 6, 8 and 9 April with musicians including Igor Levits. Ning Feng embarks on a major tour of China with the Royal Liverpool Philharmonic Orchestra and Chief Conductor Vasily Petrenko in September. As part of the tour, the orchestra will have the privilege of opening two new concert halls, in Shenzhen (Nanshan Theatre on 28 September) and Nanjing (Qing’ao Concert Hall on 2 October). In each concert Feng will perform the Glazunov Violin Concerto, in A minor, Op.82. Click here to read a preview of the tour in the Shenzhen Daily. Before the tour, Ning Feng makes his debut at Dublin’s National Concert Hall with the RLPO on 17 September, a concert that also marks his debut with the orchestra. Ning Feng returns to Kissinger Sommer festival in Bad Kissingen, this year as artist-in-residence, where he performs three separate programmes in concerts on 15 June, 6 and 8 July. On 15 June he performs in recital with regular duo partner Igor Levit. On this occasion, they will perform Mozart’s Violin Sonata No.27, Shostakovich’s Violin Sonata, Op.134 and Franck’s Violin Sonata in A major. Ning Feng then returns for a concerto appearance on 6 July, alongside Orchestre National de Marseille and Lawrence Foster, performing Paganini’s Violin Concerto No.1. Finally, on 8 July he will perform in a chamber concert alongside Konstantin Shamray and Kristof Barati, with works by Handel, Bartok, Tchaikovsky and Shostakovich. In February 2014, Ning Feng's first concerto album – of Bruch’s Scottish Fantasy and the Tchaikovsky Violin Concerto – is released on Channel Classics and Universal Asia. The album, which follows two solo CDs on the same label, was recorded in Berlin with the Deutsches Symphonie-Orchester Berlin. Ning Feng makes his debut with Berlin Konzerthaus Orchestra this month, under the baton of their Principal Conductor Iván Fischer. The violinist last performed with Fischer on a tour of China with the Budapest Festival Orchestra. Ning Feng will play Bernstein’s Serenade in four concerts between 8 and 10 November, as part of a series of concerts at the Konzerthaus paying homage to the composer. On 3 March, Ning Feng makes his debut at the prestigious Vancouver Recital Series, with Chinese pianist Weicong Zhang. His eclectic programme includes Beethoven’s Violin Sonata No.1, Elgar’s Violin Sonata, de Falla’s Suite populaire espagnole, Stravinsky’s Duo Concertante for violin and piano, and Frank Waxman’s Carmen Fantasie. Later this month, Feng will perform in the opening (19 March) and closing (23 March) concerts at the Heidelberg Spring Festival’s newly established Chamber Music Academy. Presenting programmes featuring music by Prokofiev, Mendelssohn, Tchaikovsky, and Haydn, Feng is joined by renowned clarinettist Jörg Widmann, acclaimed young cellist Maximilian Hornung, and BBC Radio 3 New Generation Artist Igor Levit. Finally on 30 March, Feng returns to the Philharmonie Baden Baden where he will perform Paganini’s Violin Concerto No.1, as part of the Berlin Philharmonic Orchestra’s Easter Festival. This concert is his third and final with the orchestra this season, where he is this year’s Artist in Residence. Click here for further information about Ning Feng’s performance at the Vancouver Recital Series.